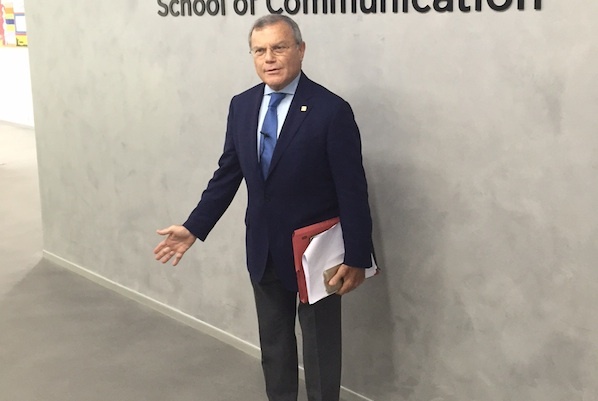 Although many PR companies report that their integrated communications offerings are increasingly leading them to pitch against established advertising and marketing agencies in Asia and globally, Sorrell said it was inconceivable that a PR firm could be able to take on an ad agency single-handedly for a major deal any time soon. "PR companies are doing more work around social media and digital, and hiring more creative people, but those who tell you they are taking on the advertising agencies on their own are living in la la land. Yes, as part of an integrated pitch, they might well be involved, but not on their own." Sorrell said he was adamant WPP firms Ogilvy PR, Burson-Marsteller, Cohn & Wolfe and Hill+Knowlton further developed their integrated capabilities and worked closer with other WPP firms on major pitches. "There is certainly more scope for PR to take an integrated approach, and that is what we want our agencies to do. We don't see it as being a narrow specialism and it has a very important role to play. As digital and social continues to grow, so will their influence, but not at the expense of others," he said. Sorrell, speaking to Campaign Asia-Pacific and PRWeek Asia in Mumbai, said he wanted to see more "horizontality" – where WPP companies work together. "Everybody likes to try and paddle their own canoe and the better they are, the harder they like to paddle. But the market is going against them, the market wants a more integrated approach," he said. "We do this already with our work with Ford and with Colgate – these are formalized arrangements – but we can and should do more." In terms of PR acquisitions, WPP agency Cohn & Wolfe last month announced it had snapped up Six Degrees and its marketing unit Alphabet Consulting. The move will see new firm, Cohn & Wolfe Six Degrees, expand its reach to include three major Indian cities. Cohn & Wolfe opened offices in Mumbai and Delhi in 2012, while Six Degrees operates in both those cities but also has a presence in Bangalore. Also last month, Chime Communications shareholders in the UK overwhelmingly approved the proposed £374m acquisition of the firm by a consortium of WPP and Providence, paving the way for the deal to completed next month. Sorrell said WPP remained interested in making PR acquisitions in Asia and beyond. "There is scope for more acquisition in PR from WPP, but I wouldn’t say they are going to be blockbusting opportunities. It will be smaller and medium-sized incremental additions, which from a valuation point of view seem to be more acceptable," he added.